Can The Republicans Get Anything Right? This is James De Martino, he wants to run against Pete Schwartzkopf, but can he? 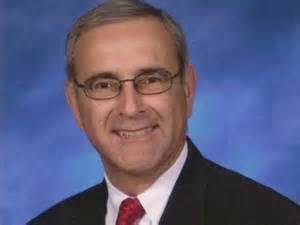 Back on March 14th, at the monthly Sussex GOP meeting, Mr. De Martino was introduced to make the announcement of his intention to challenge the Delaware Speaker of the House, Pete Schwartzkopf. It was during this announcement, in which Mr. De Martino made the statement, “I am a lawyer from Maryland, who just moved here, but don’t ask me to represent you in Delaware”. Of course this was an attempt at humor, but it shows the lack of fore thought in running a campaign, which has also resulted now, in there being a question about Mr. De Martino’s residency qualification. 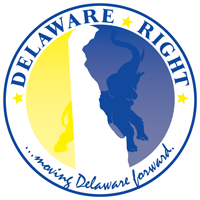 Delaware Constitution requires a person be a resident of the state three years to the date of the election in which they are running. In this case there seems to be some question of what constitutes residency. This is not the first time in this cycle, this has come up. It was not so long ago, Kathy McGinnis, who is running for Lt. Governor as a Democrat, had her residency called in to question, due to having lived out-of-state for sometime, even having changed her driver’s license, and voted in another state. In that case the Department of Elections had ruled, she still met the residency requirements. In the case of Mr. De Martino, he is claiming he “MOVED” to the Lewes/Rehoboth area in 2013 and meets the three-year requirement. However, he did not register to vote in the 14th District until 2014. I have been told there is also a question about when he changed his driver’s license to Delaware. It will be interesting to see how the Department of Elections rules in this case. But it is also interesting to note, this could all have possibly been avoided, if only the Sussex County GOP Committee had done their due diligence, and properly vetted the potential candidate. Does Chairman Billy Carroll not realize this is part of his responsibility? That the job is not all about tapping the gavel at the meeting and getting people’s names wrong? Does he not know the requirements for running for office? What about the RD Chair of the 14th, Tony Matero? Why didn’t he make 100% sure this candidate was ballot qualified? I don’t think it is sour grapes to point out how unlikely something like this is to have happened, had Mary Spicer been elected the Chair of the GOP Committee, along with Lewis Briggs as Vice Chair. We will have to wait to see how this turns out, but once again it has the potential, of again making the Republicans look foolish. In their rush to announce a candidate against Speaker Schwartzkopf, they possibly failed to do their jobs. And this on the heels of State party Chair Charlie Copeland calling for the Democrats to publicly condemn John Atkins, concerning allegations he assaulted a woman, which drew wide-spread criticism. Delaware Republicans just can’t seem to help placing themselves between the dog and the fire hydrant. 11 Comments on "Can The Republicans Get Anything Right?" Just what we need, a transplant with a say. No thanks, we’ll keep Pete. The liberals hate Pete now that they’re done with his power to get what they wanted. This “Liberal” supports Pete 100%-because of all he has done for his district, Sussex County and the State. Pete has a 67% favorability rating and will trounce any opponent in the Primary or who chooses to move here and take him on in the General. I personally can’t understand the mentality or motivation of someone who moves to a new area, and then figures that people will have any interest in them as a representative in government, but I guess it worked for Hillary in New York. As to Kathy McGinnis; she packed up and moved to Utah with her family. Her kids went to school there ,and she voted there. As far as I’m concerned, she just moved here from Utah. In general, these kinds of restrictions on “who can run for what” demonstrate a lack of confidence in voters. That goes for term limits, age restrictions, and so on. Take term limits for example. If people don’t want someone to be elected for N terms of office, then the people have the power to make that so by simply not voting for someone who has served that many terms of office. Simple. But if people do want someone to continue serving, then what is the rationale for limiting for whom people can vote. Take the rule that the president must be at least 35 years old. What purpose does that really serve? The answer is usually along the lines of “someone who is 20 would not have the maturity and wisdom to be president”. That’s kind of a dumb argument. I don’t think someone who is a convicted serial murderer would be a good president either, but we don’t have a rule against that. Why? Because in order to BE president, one has to win a majority of the vote, and people aren’t going to elect a serial murderer. There’s no reason to have rules against things that people won’t do anyway. If people don’t want to elect someone who hasn’t been a resident for X years, then they won’t elect that candidate. The only time the rule actually comes into play is in the circumstance where, for whatever reason, the majority of voters want to elect someone who moved in last month. What the rule really is about is not so much saying to the candidate, “you can’t run for this office”, but saying to voters “you can’t vote for that person.” There’s really no point to it, unless you have some kind of distrust in voters. And if you don’t trust voters, then we can pretty much call it quits on this voting thing. In the case of Mr. De Martino, he is claiming he “MOVED” to the Lewes/Rehoboth area in 2013 and meets the three-year requirement. However, he did not register to vote in the 14th District until 2014. Since when do you have to register to register to vote when you move? I have been told there is also a question about when he changed his driver’s license to Delaware. I have been told there is a question as to your sanity. So what? Are the Socialist-Democrats questioning his residency, or just you? Worked for Slick Rob Arlett. Mike Castle shares your lack of understanding. It worked to get rid of him.